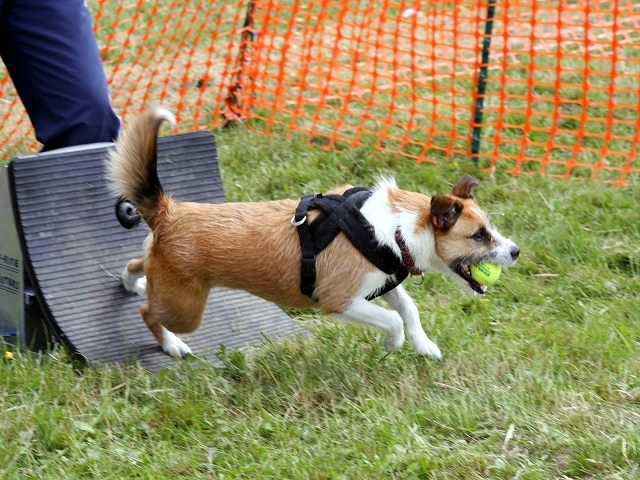 My name is Jackie Sharp, and I offer Agility, Flyball and Canine Fitness training that is both fun and affordable. The methods I use are. force free and will allow progression to competition. I am a qualified FitPAWS Master Trainer Graduate, visit the official FitPAWS® website for a full list of Master Trainer Instructors, Certified Canine Fitness Trainer Graduates and FitPAWS Master Trainer Graduates and information about the program and the benefits of FitPAWS for dogs. I am also a KCAI Scheme Member – working towards accreditation. 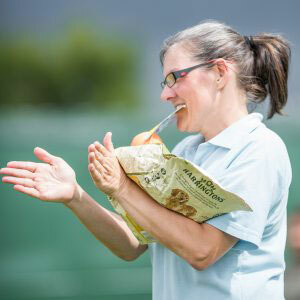 No-one can claim to be an accredited instructor unless they have gone through a rigorous process of learning and achievement via the Kennel Club’s high standards, including 5 years of teaching practice. 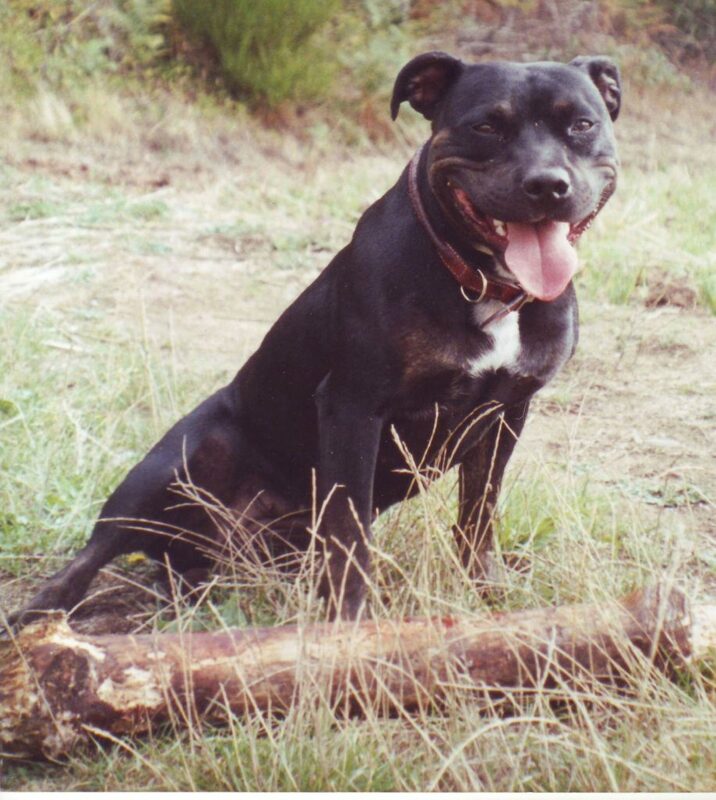 About 24 years ago a little black staffie helped me overcome my lifetime fear of dogs. I encountered this very skinny staffie pup that was in an unsuitable environment until I intervened and took it home, it was an unruly little thing that chewed (A LOT) and had a dislike of ankles, after a while (2 or 3 years) this little dog realised it was on to a good thing and turned into the most wonderful dog. She was called Tina aka Beasty and lived to become 18 years old. As we had been attending the club for a while, I was asked to continue the training when the official trainer was away racing with another flyball team. I soon realised I enjoyed the teaching aspect and the club we were part of also offered obedience and occasional agility lessons so I took on more roles within the club, helping out at various demos and events that the club were attending. 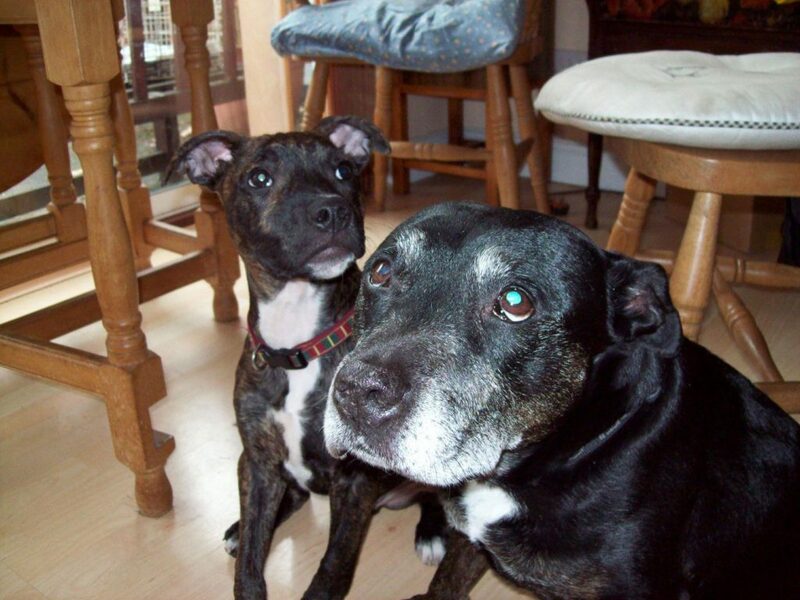 During this time a 15 week old Staffie (Ratty) ended up at my door to look after for a couple of weeks, (9 years later it is still here). He soon passed the puppy foundation, bronze, silver and gold under the Kennel Club Good Citizen Dog scheme. He progressed onto advanced gold obedience and we were part of a 4 dog group performing heel-work to music routines at local events. About 7 years ago, the Club changed their training times and venue. This was impractical for us, so we were given the opportunity to continue flyball and basic agility training under our own insurance at the same venue, and that is how Flygility was born. To ensure I was giving correct and safe advice, I attended various training courses. I still continue my research and have an extensive reference library, which will continue to grow. Over the years I have trained and competed with various dogs, with modest results, My own Dog Ratty reached grade 5 before retirement at 10 years old. He now has a specific FitPAWS program to ensure he stays fit and healthy. Myself and Ratty were chosen to be one of the demonstrators for the first set of students taking the Master Trainers Program in England. The experience was fantastic and I put my name down immediately to take part in the study course for the next time the FitPAWS® team came back to England, and that is how I became a qualified FitPAWS Master Trainer . Canine Specific Equipment vs Human Equipment. Best Practices for Canine Fitness Program.